Balwin, South Africa’s largest homebuilder focusing on large scale sectional-title residential estates in high-growth, high-density metropolitan nodes in South Africa’s major cities, is pleased to announce that it has launched The Polofields, its maiden development in Waterfall, Midrand, Gauteng. 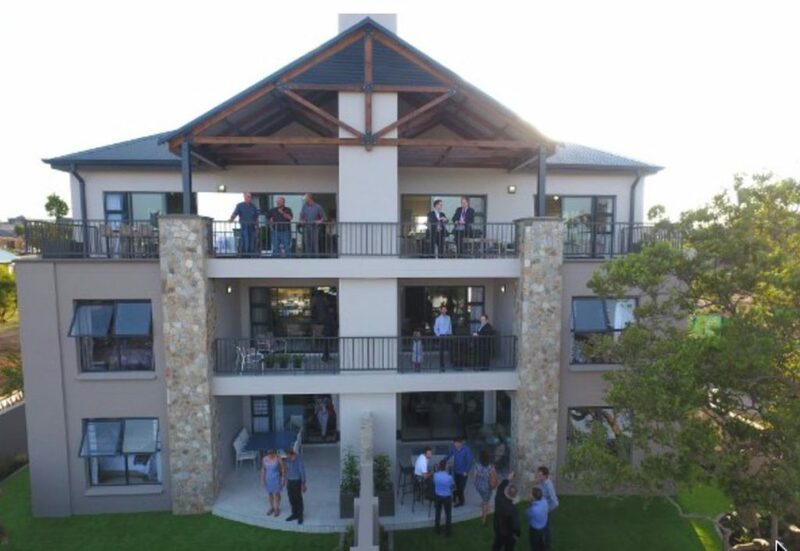 Last year, Balwin acquired development rights in Waterfall which will see the company develop approximately 15 500 sectional title residential apartments over an eight to ten year period. The development rights include three separate land parcels namely, The Polofields, Waterfall Fields and Waterfall Ridge. Steve Brookes, Chief Executive Officer and Founder of Balwin, said: “The Polofields offers an unparalleled opportunity to the market to acquire a prestigious upmarket apartment in a secure estate situated in a prime location. The estate offers easy access to freeways, public transport, retail amenities and work opportunities in the Waterfall CBD. The Polofields in Waterfall will comprise of 1 512 sectional title upmarket residential apartments once completed. In line with Balwin’s phased build-to-sell business model, the estate will be developed over several phases according to demand. The estate is a higher spec and slightly different design to Balwin’s typical model. Each apartment block consists of three levels, offering investors a choice of three layout types, with a North, North- East orientation, in two and three bedroom options ranging in size from 114.8m2 to 118.4m2 with each apartment allocated two parking bays. The apartments are superbly finished, including top of the range integrated SMEG appliances, Hansgrohe taps and premium fittings with state of the art kitchens, taking the Balwin brand to the next level. The apartments are Certified with the Green Building Council of South Africa on the basis of energy, water efficiency as well as building material sustainability. All lighting is energy efficient, gas hobs are fitted in the kitchens and all hot water systems are gas operated. The estate is wi-fi enabled and includes a Balwin signature Lifestyle Centre with a fully operational Gym, a restaurant, laundromat, Wellness Spa, squash court, function room, cinema room, a swimming pool, kids outdoor cinema and kids games room, eco car wash and a yoga deck. The units are very well-priced compared with the average for the immediate area and representative of Balwin’s quality offering. Prices range from R2 029 900 for a two bedroom, two bathroom apartment and R2 129 900 for a three bedroom, two bathroom apartment. “Waterfall is a high growth node in Gauteng and one of the most desirable areas to be developing in. We will continue to work closely with the communities and authorities to bolster the supporting infrastructure that will undeniably make Waterfall the place to be for decades to come. “We anticipate high demand for our apartments to be sustained throughout every phase of our upcoming developments in this new node for Balwin whilst we continue to expand our presence in Gauteng, Cape Town and beyond,” concluded Brookes.